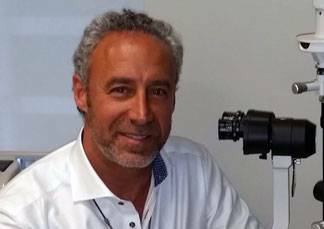 Dr. Tepperman has been practicing optometry in Toronto since his graduation from University of Waterloo School of Optometry in 1985. He has dedicated his professional career to providing the very best in primary eye care to his patients. His location has always been at the corner of Bay and Bloor where he has established an exceptional reputation for his clinical excellence. He has been an industry leader in the fitting and dispensing of contact lenses. In addition to patient care, he has served in an advisory capacity as a key opinion leader for many of the major contact lens manufacturers. As well he has taken part in numerous contact lens studies as a clinical investigator. Dr. Tepperman has taught graduating optometry students in the contact lens clinic at the University of Waterloo. He continues to mentor and share ideas with younger practitioners by lecturing in the areas of contact lenses and practice building. Also read about our Eye Care Services!